Data Backups are important for any business that keeps data on their computers that they do not want to lose, and this is even more important for businesses due to the many records they are required to keep. 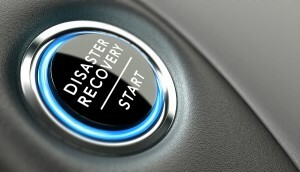 It is surprising how many businesses do not backup their data on a scheduled basis, and many businesses have lost important data because of this. Medium to large sized businesses usually have an IT department that ensures that backups are scheduled and are working correctly, but many small businesses do not always think of this because they are busy with other things and assume that their computers are stable enough that they don’t need to backup nightly or even weekly. Then there are others that do not even think of backing up their data until it is too late. Even the small business that do regular backups are not always ensuring they are being done properly, or they are only backing up locally. Backing up locally is a start, and as more and more online data backup services are available more small businesses are starting to realize that this is important. Searching around online you will find many stories of personal data lost due to not backing up computers, and then you will also see stories of businesses that lost important data due to the same issue. It’s Important to Create and Maintain Computer Data Backups- Here’s Why! Below are stories that discuss the importance of backups, and also discuss more issues that can arise if you are not backing up your small business data properly. There are also strategies that businesses can use to ensure that data is properly backed up. Here are some basic stats about backing up and rules that businesses and personal computer users should always follow to ensure they are backing up data properly. Here are 4 ways to protect your data, as mentioned before this is extremely important and these 4 “rules” should be followed to ensure that you never lose anything. Computers can crash at anytime, even if your computer is fairly new. Many small businesses that are backing up may not be doing it properly so if there were a crisis they could lose important info. Here is some more great advice on the best ways to protect your companies data. Hopefully some of these articles will wake people up to the fact that backing up all of their data on a consistent basis is extremely important. These days people keep employee records, payroll, sensitive company data such as tax information and much more on their computers since it is much easier this way. These are all important things that no company wants to have lost on them, but there are still many businesses not making sure their data is safe. 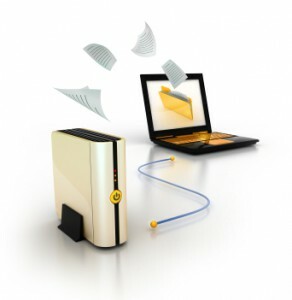 Get Free Quotes on Digital and Paper Document Data Backup Today! Record Nations provides document management and document management systems via a network of highly specialized partners nationwide. We have over 20 years of experience in document and data management services.